The government is attempting to cover nearly 5.5 lakh villages with WiFi facility by March 2019, with an ambitious Rs 3,700-crore plan. Broadband services with about 1,000 megabits per second (1 gbps) benefitting 1 lakh gram panchayats by the end of this year has been planned. Under the new telecom policy, the government will focus on linking some 40,000 villages and increase the availability of regular Internet access facility to 70 crore people, from 30 crores, by 2022. As of July 2017, 2,21,925 kilometers of optical fiber cable (OFC), covering 1,00,299 gram panchayats, were laid and 25,426 GPs provided with broadband connectivity. The Central Ground Water Board, under the Ministry of Water Resources, and the Indian Institute of Science have signed a MoU for enabling ground water flow and management of ground water. The study will cover an area of 48,000 sq. km., over a period of a year. The report will provide information as to which areas will face ground water level reduction in the years to come. This input will enable effective management so that a balance between demand and supply can be attained. The Prime Minister of India and Japan laid the foundation stone of India’s first bullet train between Mumbai and Ahmedabad. The PM spoke of this corridor taking the shape of a development zone in the years to come. Based on the financial and technical support being provided by Japan, the project is expected to transform the region into a single economic zone, along with providing fast paced connectivity. With financial aid from Trade Infrastructure for the Export Scheme of the Ministry of Commerce and Industry, the Airports Authority of India will develop an integrated cargo terminal at Imphal airport. This will provide an impetus to the export of handicraft and perishable items. It will also help establish better connectivity and improve trade relations with South East Asia and between India and ASEAN nations. To improve the condition of milk cooperatives by employing better technology and infrastructural upgrade, a separate fund will be set up, at the cost of 10,881 crores, from 2017-18 to 2028-29. This fund will aid in setting up an efficient system for milk procurement, electronic equipment for testing milk adulteration and expanding processing infrastructure, etc. A draft model law on contract farming is in the making, with an aim to address issues such as price volatility and ensure better prices for farm produce. A regulated system for registering contracts with an authorised state agency will make concerned farmers less vulnerable to market fluctuations. Once the draft is made public and taking into account the suggestions provided by relevant stakeholders, a Model Contract Act is expected to be formulated in November. The Act is expected to incorporate legal safeguards, along with a dispute resolution system so as to avoid instances of exploitation of farmers by private companies. The Department of Administrative Reforms and Public Grievances organised a two-day regional conference on the subject of good governance and replication of best practices. The conference was organised, in order to create a platform for discussing citizen-centric rule implementation, establish citizen-friendly administration. Around 25 states/UTs were represented at the conference. Presentations on good governance index were made and the programs sponsored by the Prime Minister (Pradhan Mantri Crop Insurance Scheme, Deen Dayal Upadhyay Grameen Kaushalya Yojana, Digital Payment and Pradhan Mantri Awas Yojana [Urban and Rural]) were recommended to be replicated. The Ministry of Railways has permitted the use of m-Aadhaar (Aadhar details that can be downloaded using a mobile application by UIDAI), as an acceptable proof of identity for railway passengers travelling in reserved classes. The app will work only if the phone number is linked with Aadhaar accounts. The Jawaharlal Nehru Port Container Terminal was awarded this container Terminal of the Year Award at the Gateway Awards, 2017, for the innovative strategies that were employed to ensure a hassle free and smooth delivery of containers. The Gateway Award has been established to identify and encourage best practices and innovation in the maritime space. The Malaysian Association of Company Secretaries has adopted the standards issued by the Institute of Company Secretaries of India, in order to develop their own standards. The Department of Economic Affairs organised a workshop on the role and participation of multilateral agencies in developing capacities of states and union territories. It also focussed on the potential of the agencies to contribute and on the steps taken by the Government for securities market. Participants included Principal Secretaries and Additional Chief Secretaries of Finance departments, senior officers from the Ministry of Finance, IMF South Asia Regional Training and Technical Assistance Center(SARTTAC), World Bank, Asian Infrastructure Investment Bank and New Development Bank. The Minister of State for Health and Family Welfare inaugurated the 7th International Conference on the use of low-cost technology in e-health care services. The focus was laid on the need to effectively make use of the Digital India initiative while providing health care services, and the use of e-applications, to make services economical, accessible and transparent. The Minister of State also praised the doctors who had taken the initiative to treat their patients using e-applications, instead of travelling to distant areas. 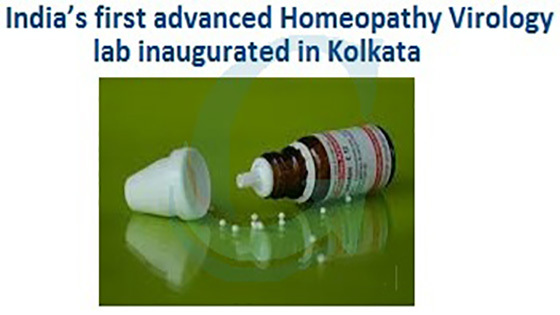 India’s first virology laboratory has been set up at Dr. Anjali Chatterjee Regional Homeopathy Research Institute in Kolkata, at a cost of Rs. 8 crores, recognised by the Calcutta University. The laboratory, inaugurated by Union minister of state for AYUSH, will give an impetus to developing techniques and new medications for challenging medical problems, and at the same time, to provide a platform to carry out quality research in the field. The Defence Minister felicitated ten cantonment boards for acquiring the status of Open Defecation Free (ODF) at a function held in Banaras Hindu University. The efforts of children as ‘Swahhta Doots’ was appreciated and the involvement of Defence Ministry in promoting cleanliness was highlighted. The cantonment boards that won the award include Bareily, Jabalpur, Mathura and Varanasi. The Prime Minister addressed students on the 125th anniversary of Swami Vivekananda’s Chicago address, on the subject, ‘Young India, New India’. He spoke of Swami Vivekananda’s vision for the youth of the country, and the significant role he saw the youth playing, in the progress of the nation. He called upon the younger generation to take inspiration from the ideas propagated by Swami Vivekananda and spoke of the government’s commitment to work tirelessly for fulfilling the aspirations of the youth. The Centre for Industrial Policy and Promotion organised the second start-up conference in New Delhi, with participants ranging from senior officials from states and UTs, representatives from industries, to funding agencies, investors and start-ups themselves. Topics of discussion include state government led administrative reforms and their role in fostering an enabling and start-up friendly environment and fund creation aspects in states along with simplifying rules for encouraging more start-ups. The Government of India has extended tax benefits to 67 start-ups till date, under the Startup India, Stand Up India program. The Ministry of Women and Child Development has opened its application process for the Women Power Award, which is given away every 8th of March, on International Women’s Day. The award seeks to recognise the efforts made by any individual and institution, towards empowering women and enabling their economic and social growth. The last date to receive the nomination is 15th October 2017. The first National Conference on Uniformed Women in Police Administration was organised over a period of two days. Discussions were held around the issues of service reforms and they also adopted a resolution. These conferences will be held twice a year to make an assessment of the progress concerning the implementation of the resolution. An all- women team of the Navika Sagar Parikrama set sail on INSV Tarini. The six-member crew will circumnavigate the globe in approximately 165 days. This also happens to be the first time in India that an all women crew has undertaken the circumnavigation of the globe. The expedition is seen as contributing to attain the objectives of National Policy for women empowerment.